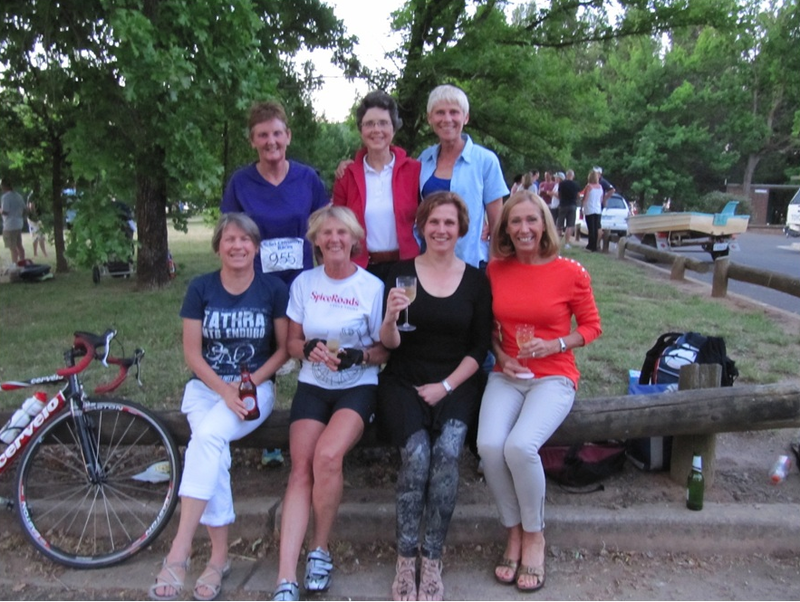 On Sunday 4 November 2012, five brave (or somewhat crazy) club members prepared to swim in the three pristine lakes of Canberra as members of teams in the Sri Chinmoy Triple Triathlon. This event consists of three off-road triathlons back-to-back. The race began at 6am when two of our club members Nina Maguire and Greg Gourley entered Lake Ginninderra for a quick 1.5 km dash. Luckily the weather was good and there was no fog over the water (unlike last year). This leg is really easily to navigate as there is a giant yellow ball rising in the east, you swim straight at it for 750m then turn left (to avoid hitting it!). After the first swim, our swimmers have a couple of hours rest whilst their other teams members did battle cycling and running over the hilliest mountain tops of Canberra. Gabe Stitt, Paul Hitchman, Nina and Greg swam (if they followed the course) from Grevillia park under Anzac and Commonwealth Bridges to Acton. Again the conditions were good and great times were done by all. Again, after the swims, the other team members went off for their cycling and running. Lastly the swimmers took on Lake Tuggeranong. This is the dirtiest and least pleasant lake to swim in, nevertheless Gabe, Brenda Day, Nina and Greg braved it. It was a easy 1.2 km swim which ran almost straight down the rowing course. It’s a bit ironic that this leg finishes at McDonalds. Finally, the good part, the swimmers got to go home and shower whilst their runner and cyclist were out on hills doing their best. The event finished back at Lake Burley Griffin, where a few medicinal (carbo reloading) beverages were consumed and battles of the day retold. All club members should keep in mind that this is a fun event. Greg has been doing it since the 1990′s and usually finds it pretty easy to get into a team, particularly since most of those triathletes out there cannot swim more than a few hundred metres, so swimmers of all standards are eagerly sort after. Read the 2012 race report, view the photo album, as well as the full results on the Sri Chinmoy website.